National Museum of Women and the Arts ☆ Washington, D.C.
SAVE THE DATE and check back for our announcement of awardees, ticket information and more. October 14, 2014 ♦ 6:30 p.m. ♦ Arena Stage ♦ Washington, D.C.
Our 2014 Awards Gala was an inspiring evening, featuring powerful speeches from our three honorees. Watch the videos and read more about why we selected them as this year’s progressive heroes. The videos include introductions from Rep. Donna Edwards, D-Md., National Education Association president Lily Eskelsen García, and The Nation’s editor and publisher Katrina vanden Heuvel. 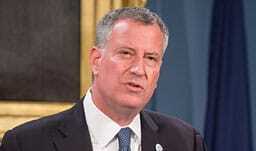 Bill de Blasio was swept into office of the Mayor of New York City in 2013, taking nearly three-quarters of the vote, and since then he has worked through his administration to address the city’s social and economic inequalities. De Blasio ran on a boldly progressive platform that included increased taxes on those earning over $500,000 to pay for increased funding to education, including universal pre-kindergarten and investments in the City University of New York. Throughout his political career, de Blasio spent his time fighting for a number of progressive causes, including quality public education, affordable housing, and gender equity. Mayor de Blasio lives in New York City with his wife, Chirlane. They have two children. 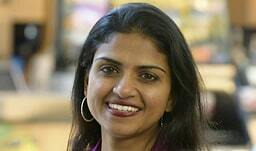 Saru Jayaraman, co-founder and co-director of the Restaurant Opportunities Centers United (ROC) and Director of the Food Labor Research Center at UC Berkeley, is a leading fighter for low-wage workers in the restaurant industry. She launched ROC in New York to help workers displaced following the September 11, 2001 attacks. ROC expanded across the country in 2008, and now includes 13,000 restaurant worker members in 32 cities nationwide, 100 “high road” employer members and several thousand consumer members. ROC has engaged in organizing, cooperative restaurant development, workplace training, research and policy advocacy to affect labor policy for workers across the country. While organizing workers against exploitation in high-profile restaurant companies, ROC has obtained over $10 million in judgments as well as substantive policy changes from these companies. The organization has also called attention to the inadequacy and injustice of the tipped minimum wage, and has pushed for the enactment of laws requiring workers to have paid sick leave. At the same time, ROC created a National Diners’ Guide to promote restaurants that act ethically toward their workers as well as the community. Jayaraman is co-author of “Behind the Kitchen Door,” a book that details the lives of restaurant workers and how their standards of living affect the food we eat, and has been a frequent guest on news discussions of worker issues. 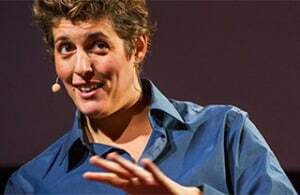 This year she was named one of 10 CNN Visionary Women and was celebrated by the White House as a Raise the Wage Champion of Change. Jayaraman is a graduate of Yale Law School, received her Masters in Public Policy from Harvard’s Kennedy School of Government. In addition to leading ROC United, she teaches at the Goldman School of Public Policy at UC Berkeley. She lives with her two children and partner, Zachary. 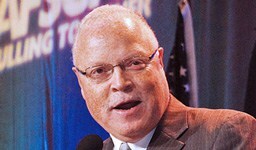 Lee Saunders, president of the 1.6 million-member American Federation of State, County and Municipal Employees, is one of the country’s leading advocates for public services and the men and women who provide them. Under Saunders’ leadership, the union strives to enhance the quality of life for its members and all working families by focusing its resources on such issues as health care, fair pay and tax fairness, workplace safety and retirement security. He has also worked to build the next generation of union leadership, increasing diversity and participation within the union. AFSCME is one of the largest unions within the AFL-CIO. Saunders grew up in a union household in Cleveland, Ohio, joining the Ohio Civil Service Employees Association in 1975. He has been a champion of unions and workers’ rights at AFSCME since 1978, when he started as a labor economist. He progressed through the ranks as an assistant director of community action, deputy director of organizing and field services and eventually became responsible for managing AFSCME’s political and legislative operations, leading it to become one the strongest unions in the American labor movement in mobilizing, lobbying and fundraising. From 1998 to 2002, Saunders acted as administrator to New York City’s largest public service employee union, AFSCME District Council 37, which represents 125,000 members. There he helped restore the fiscal integrity, health and reputation of the council and its 56 affiliated unions. Today Saunders also serves as vice president of the AFL-CIO Executive Council and is the chair of its political committee. He and his wife Lynne have two sons and live in Washington, D.C. Videos sponsored by Fenton Communications.